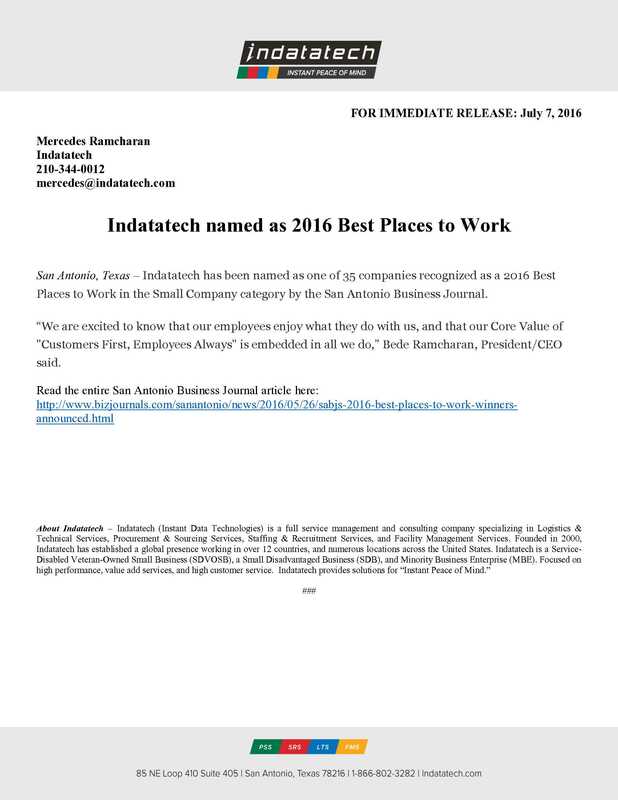 San Antonio, Texas – Indatatech has been named as one of 35 companies recognized as a 2016 Best Places to Work in the Small Company category by the San Antonio Business Journal. “We are excited to know that our employees enjoy what they do with us, and that our Core Value of “Customers First, Employees Always” is embedded in all we do,” Bede Ramcharan, President/CEO said. Read the entire San Antonio Business Journal article here.